TaskTrak is a task allocation and management system that allows the creation of tasks within a job, as well as giving the administrator the ability to assign and monitor the completion of tasks. Acting as a one-stop-shop, TaskTrak integrates with TimeTrak Professional, your ERP system and Microsoft Outlook so that you are able to create tasks from emails, having your tasks appear in your calendar, of which can be pushed all the way out to any handheld device. TaskTrak allows your Coordinators to assign and monitor tasks, set customer SLA due dates, priorities and task budgets, as well as attaching documents to tasks. Our ticketing solution helps to manage staff workloads and schedules through tasks (with unlimited parent/child task levels). Create tasks (i.e. tickets and service requests) against jobs, from emails, or directly through TaskTrak. These tasks also have the ability to appear in your Outlook calendar when TaskTrak Outlook Add-in is also purchased). 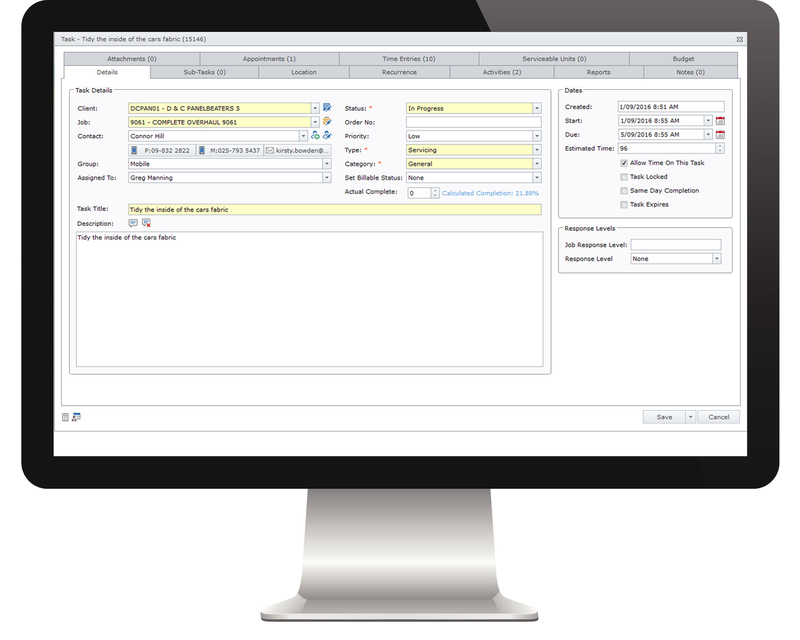 This product can be configured so that completed tasks are prompted for billing next time a user logs into TimeTrak, simplifying the way that you do business. TimeTrak is a cloud solution that can be used anywhere, any time, allowing field teams to view and use TimeTrak from client sites. Keep accurate, relevant information attached to jobs, including time, materials, serviceable units, and knowledge base articles. TaskTrak fully integrates with any mobile device - Smartphones, Tablets and other PDAs - allowing you to work anywhere. 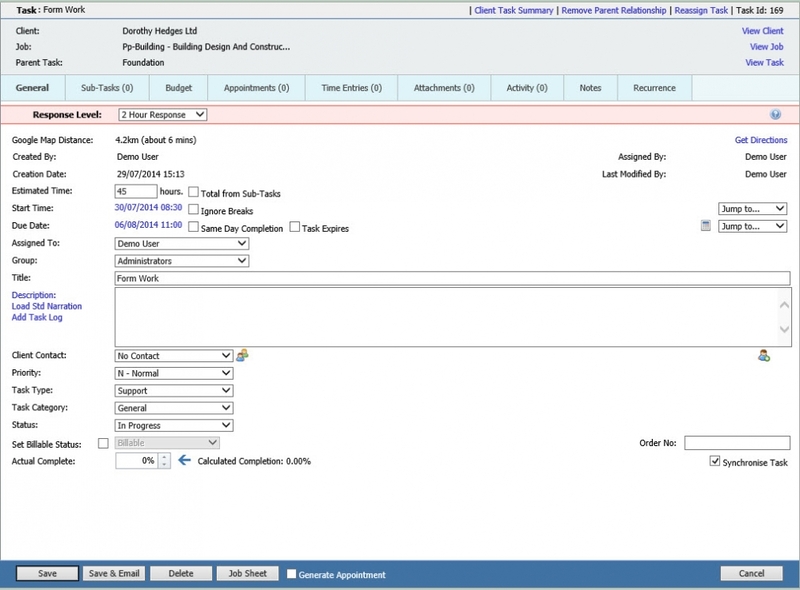 Create tasks from emails, have tasks appear in your calendar or even bill Outlook Calendar entries into TimeTrak. This is a scalable cloud solution that can be tailored to suit the speicifc needs of your business, no matter the industry requirements. This is a simple platform that is easy to use. Users can be up and running with little training required due to the simple drag and drop time allocation.